With the official start of spring nearly here, you might feel new energy as the sun returns with the promise of a fresh start. The most wonderful things about spring come through your five senses. The rainbow of early-blooming flowers are a feast for the eyes. The morning skies are full of birds singing love songs. The relaxation of warm sun on your shoulders softens your muscles. You perk up at the fragrance of freshly-cut grass and warming earth. The bright taste of the earliest strawberries remind you why this season inspires so much poetry and music. Spring reminds us that renewal is always possible, especially after long, dark days. If you’ve had the winter blahs (or blues), it can be a comfort to remember that difficult times are temporary. The light returns, and the world brightens again. Even after many months underground in the dark soil, tulips push up their satin-green leaves and burst into color. So it is with people too. Although January is usually the time to turn over a new leaf, spring gives us the energy to make new choices, recommit, and bloom. It reminds us to notice beauty and remember to be hopeful. 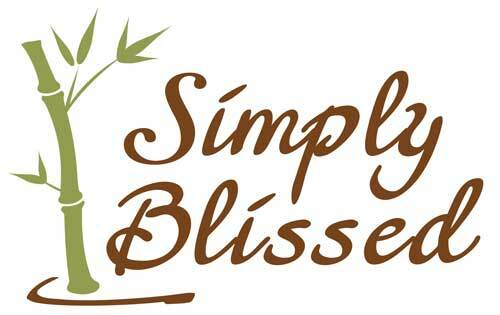 We, the staff at Simply Blissed, hope this season fills your senses and brings you renewed enthusiasm for life! Did you know that your skin cells replace themselves roughly every 30 days? This month, we want to invite you to try out some of our best-kept secrets for skin renewal: scrubs and body wraps. Sugar scrubs are a sweet treat for your whole body. During a luxurious 75 minutes, we gently exfoliate your skin with a variety of exotic fruit pulps and herbs hand-picked for your specific needs. Body wraps In addition to being relaxing for your spirit, body wraps infuse your skin with organic nutrients that hydrate and purify the skin on your whole body. Our wraps come in a variety of “flavors” including chocolate and blueberry. 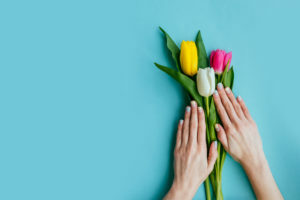 If you want to celebrate spring with renewed skin, you can book a body wrap or sugar scrub session on our website or by calling us at 503-587-9997. We look forward to seeing you soon!